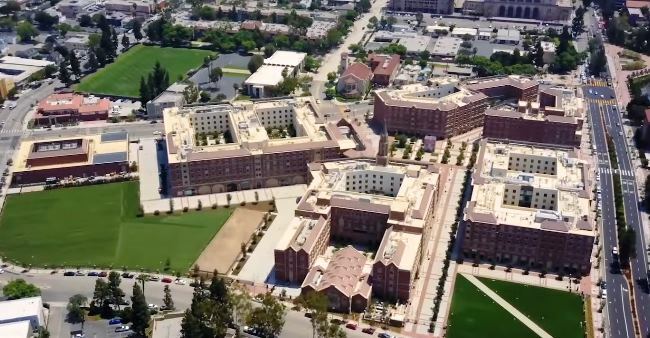 The distinctive Collegiate Gothic architecture of the Nemirovsky and Bohnett Residential College clearly identifies it as part of the beautiful and exciting new USC Village. 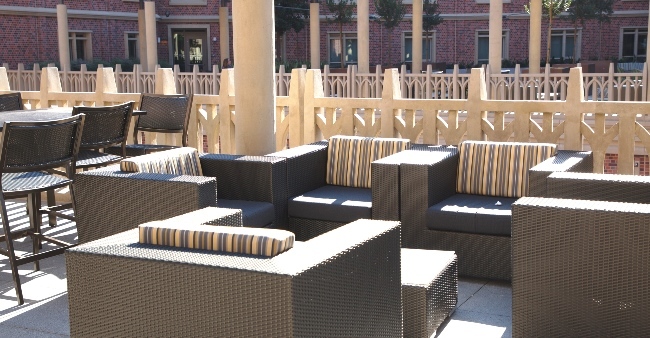 An outdoor patio deck on the second floor overlooks the complex's central plaza and is a great vantage point for observing Village life while enjoying a coffee from the ground floor Starbucks. 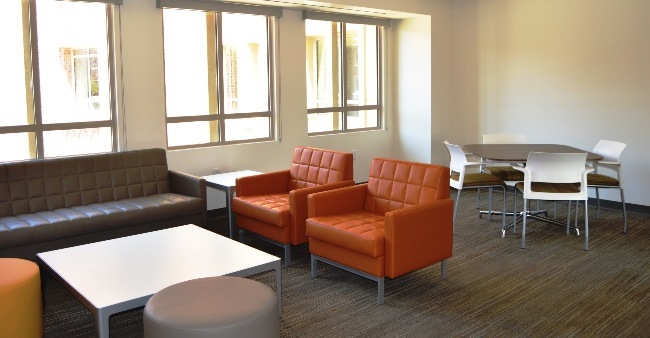 A more private outdoor lounge occupies an interior portion of the north wing of the building. 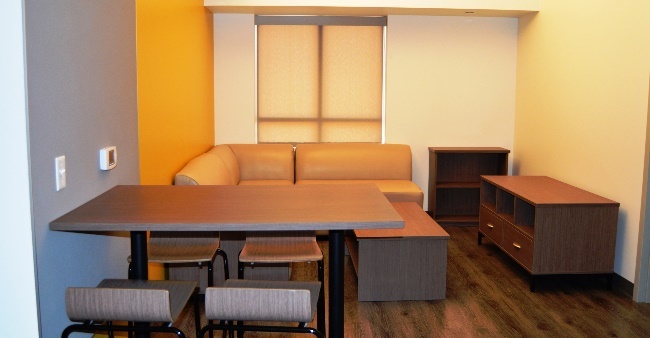 Students will reside on the upper floors while the ground floor is devoted secure, indoor bike parking, retail establishments and the building's Customer Service Center. 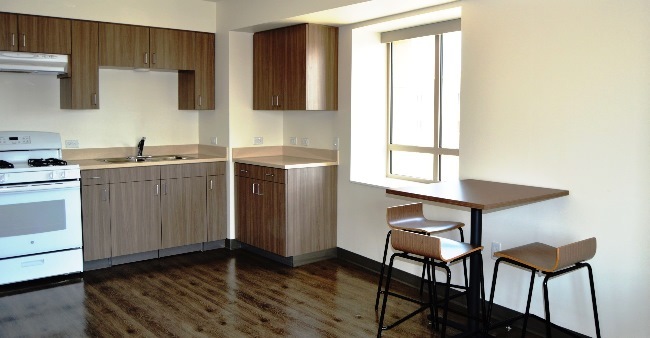 The five-story edifice houses over 350 upperclassmen - returning and transferring sophomores, juniors and seniors, who have the option of one-, two- and three-bedroom apartments. 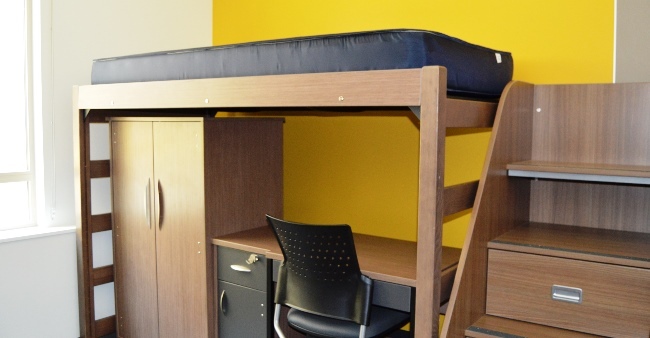 There are choices to fit just about any student housing budget and to accommodate roommate groups of two to six individuals. 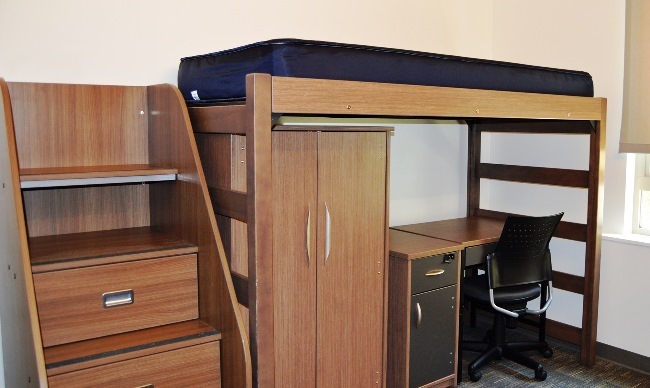 The small two bedroom and two bedroom loft-style types do not have a living room and instead of a full kitchen have a kitchenette, with a sink, oven and four burner range; each bedroom has small microwave oven and mini-fridge. 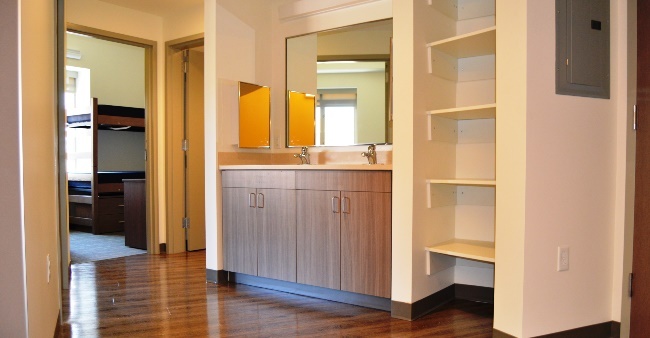 The three bedroom floor plan and some designated two bedrooms have two bathrooms. 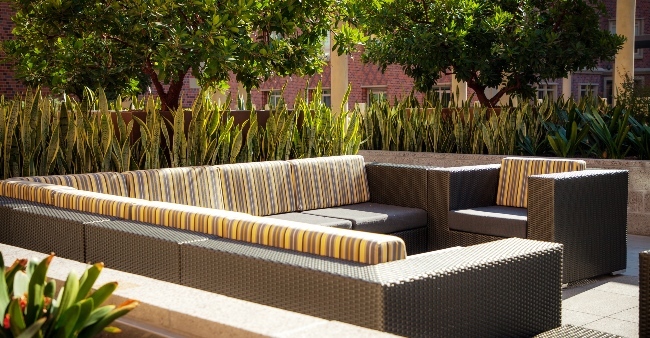 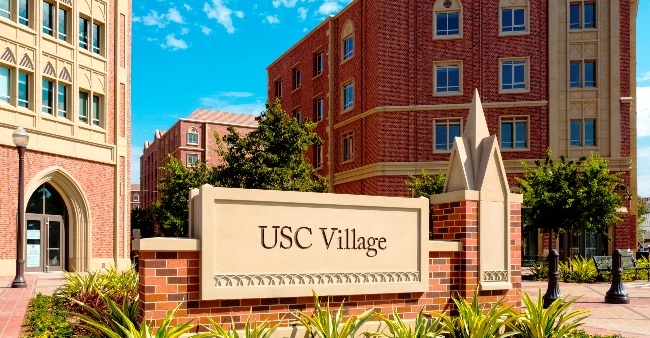 Along with amenities specific to the building, residents may share in all the recreational and educational opportunities the USC Village provides, including the on-site retail and dining choices of the complex. 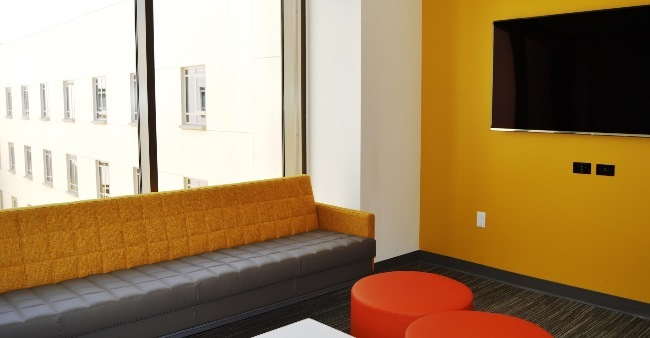 The building has a dedicated Customer Service Center. 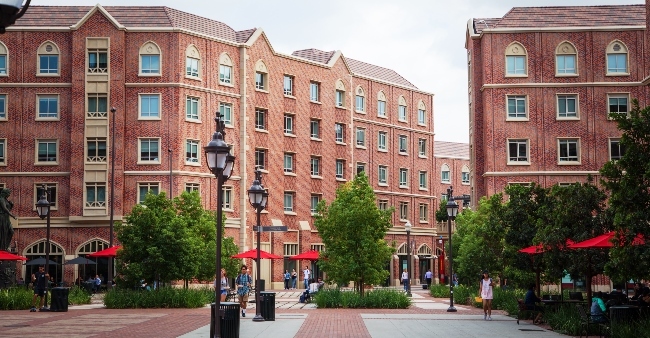 This building is home to both the Bohnett and Nimerovsky residential college programs. 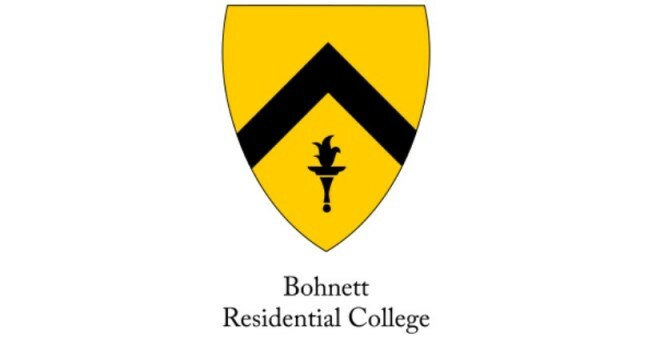 The Bohnett Residential College is a community built around a core ideal of social action through entrepreneurship. 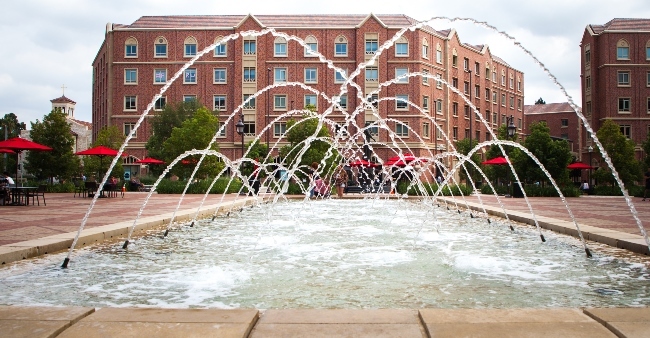 In collaboration with faculty, staff and social entrepreneurs within the Los Angeles community and beyond, students will engage with and seek innovative solutions for a broad range of social issues such as homelessness, gun violence, diversity & inclusion, college access and many other pressing social justice concerns facing the world today. 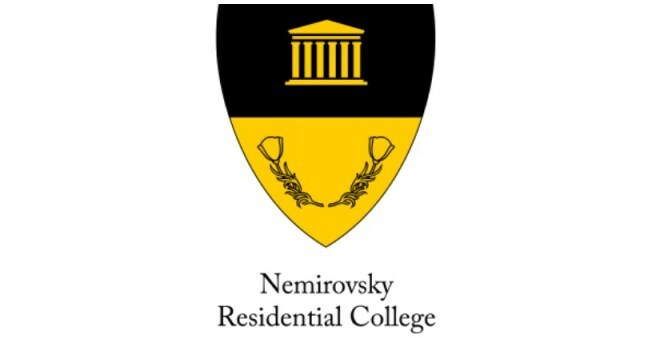 The Nemirovsky Residential College for Sustainability is an interdisciplinary society of students who are dedicated to building awareness around the principles of environmental, social and economic sustainability through green living practices, educational activities, and societal engagement.